“When we've dabbled with backwards compatibility, I can say it is one of those features that is much requested, but not actually used much... That, and I was at a Gran Turismo event recently where they had PS1, PS2, PS3 and PS4 games, and the PS1 and the PS2 games, they looked ancient, like why would anybody play this?" This was the head of PlayStation Europe, Jim Ryan, talking to Time magazine about people’s apparent lack of appetite for PlayStation 2 classics, and why Sony isn’t particularly interested in these things on PlayStation 4. It absolutely infuriated me, because it was representative of some very destructive views that the 'mainstream' has with videogames. Okay, let’s assume that the appetite for classic games is low enough that it’s not commercially viable to re-release these titles onto the PlayStation 4 platform. I can’t imagine that’s true at all, but let’s just assume for the sake of argument that it’s true. That’s not even the problem the Ryan’s comment. Even uttering that word belies an attitude that’s utterly insulting to anyone who takes games seriously as works of art. Is the Mona Lisa no longer worth viewing because it’s an “old” painting? What about the black & white films of the early days in cinema? Do we dismiss Bach as something not worth listening to or preserving because Justin Bieber makes for better content? Of course not. Because the people involved in those other art forms art singlemindedly obsessed with reducing games to an exclusively commercial proposition. Film, literature, music - the heads of the various industry bodies there recognised the cultural and artistic value of those. In games, however, no. No, content rules all. That we allow people to talk about games as pieces of “content” is one of our greatest failings in the games industry. “Content” is a word that implies a work whose value is purely commercial; it’s a word that implies no intrinsic value - that its only value is in the numbers that it reflects and manufactures. Content is concerned with the numbers of hours of “entertainment” that you get on the disc. The exact digital floorspace of the gameplay environment. The number of maps for multiplayer. And for the publisher, the projected number of sales of those discs. We use "content” to break games down into easy to analyse blocks because it makes for an easy marketing pitch and information to stick on the back of the box. And it’s not surprising that advertising talks about things in terms of content, because that is exactly how advertisers think. I’ve spent a lot of time working with people both in marketing and the arts, and these people think about things in very different terms. To someone in marketing, “quality content” is something worth chasing, because it’s a more effective selling tool. Television ads, the pretty pictures that go into magazines, the copywriting that appears on websites or in advertorials, and so on, is often good quality stuff. It needs to be, because it has to catch the audience’s attention. But it’s a means to an end. It’s not something important in itself. It’s a red cape to a bull; the heritage and story that that cape tells is of no importance whatsoever; all that matters is that the cape is red, loud, bold, and able to get the bull to charge. It has to be a quality cape, or the bull will ignore it, but the workmanship that went into making the cape is of no consequence whatsoever. Artists care deeply about what they are doing, because what they are creating has meaning in and of itself. Artists care about sales and being profitable, because artists live in a capitalist world where if you don’t make money, you don’t eat, but the commercial value of what is being created is of secondary importance. Further to that, the audience is expected to respond in kind to art; you pay to access it, yes, but once you’ve got access, you forget about the art work’s monetary value, how much of it you get, and how much you paid for it, to instead experience the work itself. So, unlike that red cape, no one cares how small the Mona Lisa is (and it’s actually quite small), because the Mona Lisa isn’t content. No one lists the number of pages in a book as a selling point to that book; what’s important is the depth and meaning reflected in these stories. These works aren’t content. These works are art, and are respected as such. These things can be worth a lot of money - try buying the Mona Lisa if you don’t believe me, but that value isn’t because of the content in the painting. It’s because the cultural value of art has value in itself. To bring it back to my new best friend, Jack Ryan, why does it matter that he talks about games in terms that makes it clear that he sees them as content rather than art? It’s quite simple; not only does it mean that it’s yet another person high up in the industry that has no interest in championing genuine artistry (he only cares about quality as long as it’s quality content, remember), but it also means that yet another person in this industry that has no interest in preserving the heritage of games for future generations. Here’s a shocking statistic for you; over 90 per cent of the films made before 1929 have been lost forever. There is simply no film left to play, having being destroyed or worn away to nothingness before they could be conserved. It is not a coincidence that the film industry in those early decades was also laughed off as a “novelty entertainment,” and not a real art form worthy of archival. Thanks to bodies such as The Internet Archive, we’re not likely to lose quite as many games, but when a company like Sony refuses to make its old catalogue available on modern platforms because “no one would want to play old games,” then it is going to become more difficult to find these games, or play them. Hardware dies. Discs die. Digital platforms give us the opportunity to make these games available in another way, but, again, not if the industry’s decision makers don’t see value in it. Ryan’s comments were with regards to Gran Turismo. And, sure, Gran Turismo 1 isn’t as pretty, or as playable, as the PlayStation 3 Gran Turismo and upcoming PS4 one. But if you respect games as art, then the playability and look of Gran Turismo is quite irrelevant. 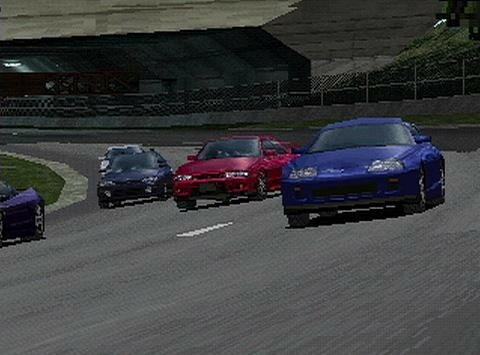 The value of the first Gran Turismo today is the heritage of that game. The story in its creation, and what it pioneered, and the path that it put the entire Gran Turismo series on. It’s the historical context that makes the game worthwhile. Not its value as a commercial product. We need to stop talking about games as content. If we’re talking about games as content then we’re narrowing the ability for games to develop and innovate - in focusing so entirely on getting “value for money”, counting the number of hours that a game provides us in entertainment, the number of maps in multiplayer, and so on, we don’t leave much room for developers to think outside the box. We turn game development into checklist marking, and that’s the very antithesis of artistry. Just as importantly, if we treat games as content, then by extension we don’t care about the archiving and preserving of them, because like like the pretty wrappers on chocolate bars, they are of limited long term value. If we don’t want to lose a generation of games, as we have lost films, then the industry, and everyone in it, needs to remind themselves that even the ugliest, most unplayable PlayStation 1 game has value as a piece of heritage.